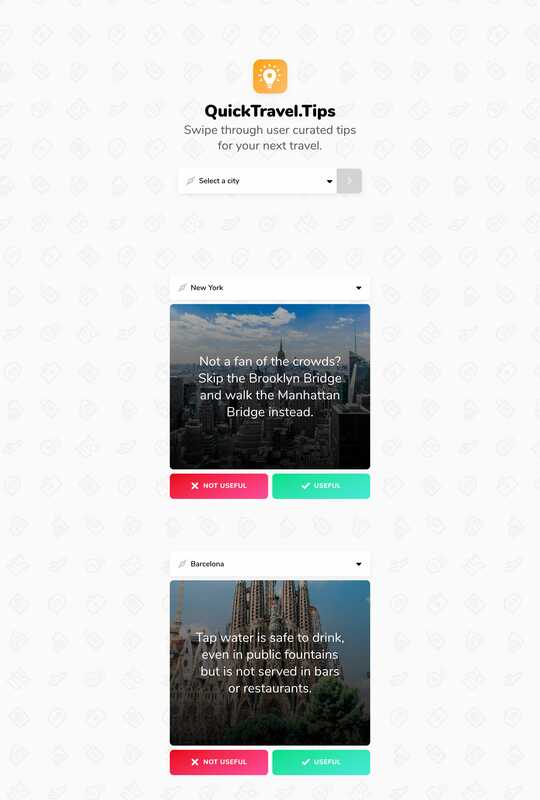 Useful One Pager for Quick Travel Tips – a web app curating travel advice in big cities like New York, Barcelona and more. They also just launched on Product Hunt! Gathering a lot of useful tips was easy. The difficult part was thinking on how to not overload users with a ton of information at the same time and find a way for them to skip the manual process of copying-pasting the tips they might find relevant. What if there was a way to get travel tips in a way that is straightforward and easy to digest? Read the full case study here.